Sometimes they are straightforward – and proclaims that you just aren’t good enough for the person you are dating, marrying, or living with. Sometimes they are just plain mean – and points out just how flawed you are, how old you are, and how many other people are getting married/in a happy relationship/etc. And convinces you to settle than for less than you know in your heart and soul deserve. 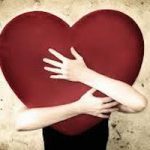 And when none of those evil tactics work, they rely on their tried and true weapon: filling your head with all kinds of big fat lies that make you doubt what you know to be true about yourself (that you are a kind, loving, not-perfect person who just really wants a great partner to share your life with.) And frankly, you deserve it! We all do. 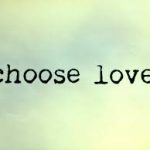 The truth is that if you want to find and keep great love in your life, you have to stop letting your Inner Mean Girl or Bully (IMG for short) run your show. They are guaranteed disaster on your love life! If you are single, they’ll destroy your chances at finding love. If you’re in a potentially fabulous relationship, they’ll create all kinds of situations that keep you from having the fabulous partnership you want. Guaranteed, they’ll sabotage it. 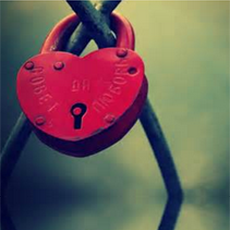 If you’re in a toxic, self-limiting relationship, they’ll make you overstay in the wrong relationship, trying to convince you that you should just make it work. 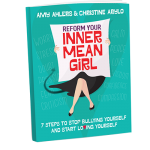 While transforming your Inner Mean Girl / Dude takes time and skill, there a few steps you can take right away to take the power back from their self-sabotaging clutches! Let your Inner Mean Girl /Dude voice their biggest fears and big fat lies. Fear is the #1 food for Inner Mean Girls and Dudes. They thrive on it. But, when you take your IMG out of the closet by giving voice to the fear, your IMG relaxes, loses all power over you and you can finally find the truth. 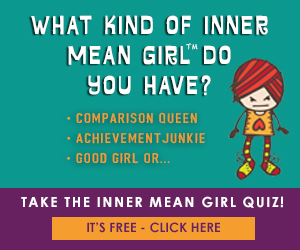 So go on an Inner Mean Girl or Dude Rant and let the fear and big fat lies fly free – “I am so not lovable. I am so afraid I’ll be alone forever or of being hurt again.” Say them all out loud til they are out of your system. Tune into your Inner Wisdom. Now that your IMG has had their say, close your eyes, and take a deep breath and ask your wise self, your Inner Wisdom, what they know about your love life. Put your hand on your heart and listen. You’ll be surprised at how calm and safe you feel – because from this place you can already see how much love you have. Say out loud what they tell you, and write it down so in moments of fear you can remember the truth. 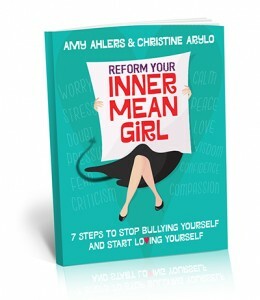 Get the Reform Your Inner Mean Girl Book and find out what kind of Inner Mean Girl Is running your life!